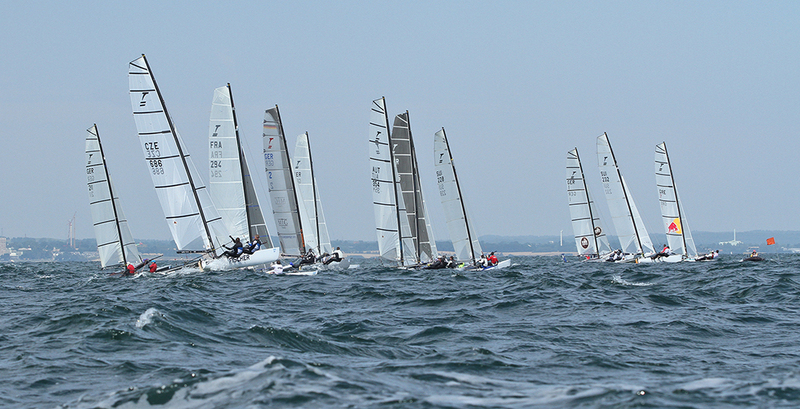 The 2014 Tornado European Open and Mixed Championships started with a bang today in windy conditions. At dawn the sailors woke to the same weather conditions as the days before, around 8.30 all sailors started preparing their boats for a breezy day of sailing. The first hurdle was getting into the water safely with the swell full on the Mövenstein ramp! The first race started at 11am. 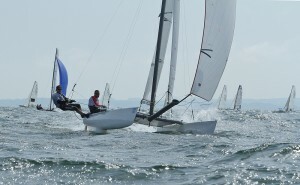 There were steep choppy seas out on the race course for the first race. 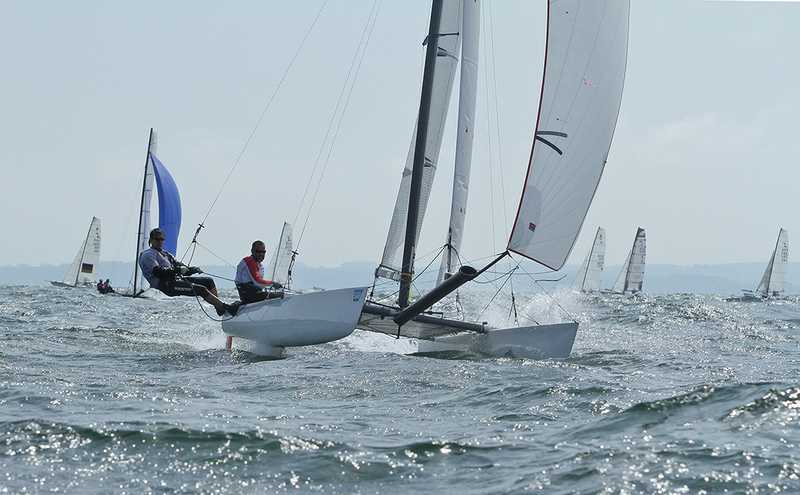 In races 2 and 3 the winds increased along with the waves making it tricky for the competitors. After finishing as runners up in 2013 Danny and Kostas have a firm grip on the championship coming out of the first day with 3 bullets from the 3 races. Following them in 2nd place are the husband and wife duo of Roland and Nahid Gaebler, the 2013 champions with 3 second place results. In 3rd place are Martin Rusterholz with Marc Baier with 3 third place results. A consistent day for all of the teams. Elsewhere on the race course the competition is tough with some hot racing between the 2nd and 3rd mixed teams Jentsch and Maurer. 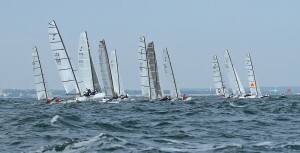 The weather forecasts predict a slight turn to North Westerly and a few knots less with thunderstorms in the next days. Watch this space.